Plans to transform a derelict building on Nottingham’s Carrington Street into a lively hub have now been revealed by Leonard Design Architects. Architects from the award-winning practice, which is headquartered in Nottingham but works on projects all over the world, were appointed by Carlton Street Trading to provide a design concept that is in keeping with the history of the building. In creating the new vision for the building, Leonard Design has been working closely with Latham Architects, who acted as specialist advisors for breathing life into heritage buildings to ensure the historical significance of the property is preserved. 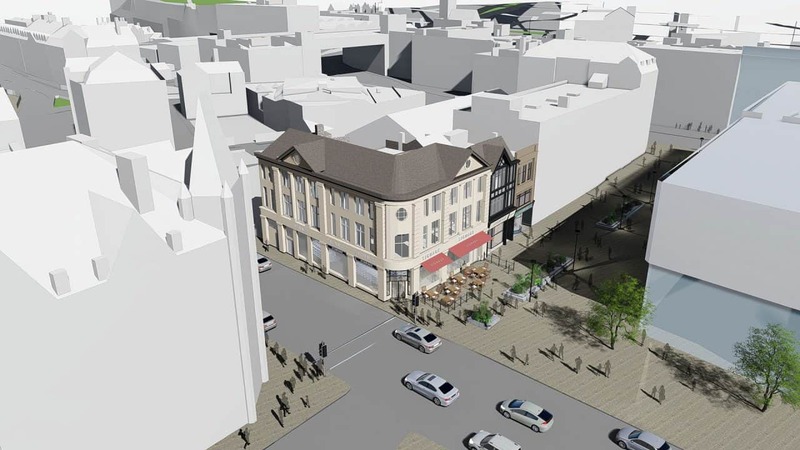 The plans, which have recently been submitted to Nottingham City Council, show how the building will be turned into three vibrant retail spaces on the ground floor, as well as 15,000 sq. ft. premium office space on the top floor. In the heart of the city, the new look building is an exciting prospect for quality retailers looking to position themselves in such a prominent area of Nottingham. With one company close to snapping up a retail unit, the spaces are generating immediate interest. “This is an exciting time for Nottingham. Off the back of Nottingham City Council investing heavily in the Broadmarsh car park, we’re now seeing a ripple effect across the city of developers transforming sites that were previously derelict – for example, Sneinton Market and now 19-26 Carrington Street. “These are all buildings that are being given a new lease of life, which is attracting unique brands into the spaces and in turn more people to spend their money in the city. By working with developers such as Carlton Street Trading who are sensitive to the heritage of such buildings and have extensive knowledge of the city, this can only be a positive for Nottingham. 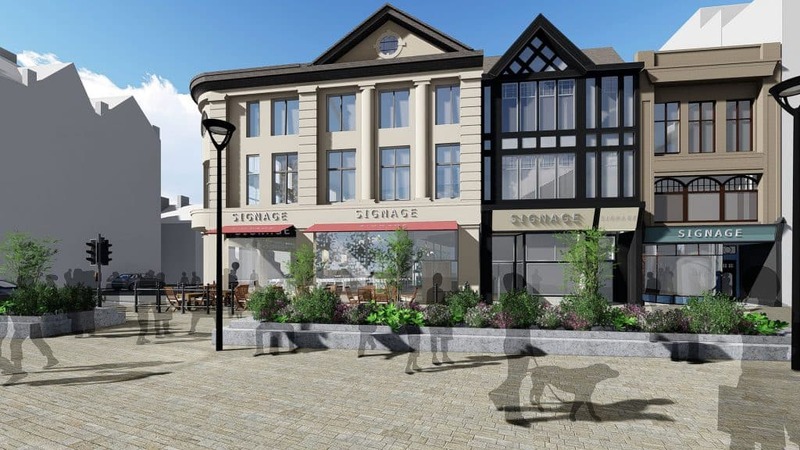 “This is a great for prospect for some exciting retailers to move into an extremely popular area of the city. Carrington Street is the gateway into Nottingham and we’re working with a number of local contractors to carry out the restoration of this site to the high standards it merits. The commercial space on the top floor of the building is an attractive proposition for a growing business – not least because of the surroundings. Quality commercial space is difficult to come by in city centre locations, and with Nottingham train station just a short walk away, the space is an extremely accessible one to do business in. “The retail units are already generating lots of interest, even prior to the refurbishment works being completed. We’re advising businesses to move quickly if they wish to snap up a space in such a prominent area of the city. It’s not just the location that sells these spaces, but the designs drawn up by Leonard Design Architects and Latham Architects which are second-to-none.